The word “focus” has basically two interpretations. 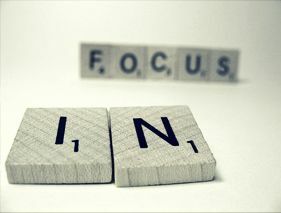 Firstly, focus means something that is the centre of interest or activity. Secondly, focus means your power of concentration. Focus indicate that you know which path to follow, what all to do in order to chase your dream. Your goal is pretty clear in mind and you know your destination. In the words of Mark Twain, “you can’t depend upon your eyes when your imagination is out of focus.” Focus is extremely important at work and helps you to make the most of the activity that you are engaged in. Lack of focus makes you go wayward and you lose a track of the activity that you are engaged in. Dalai Lama had once remarked, “I find hope in the darkest of day, and focus in the brightest. I do not judge the universe.” Focus is always necessary to achieve your goal or dream or excel at any task at hand.